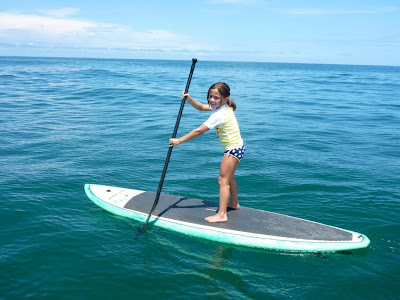 a note from apple seeds: Paddleboarding: the hottest sport of the season for all ages! 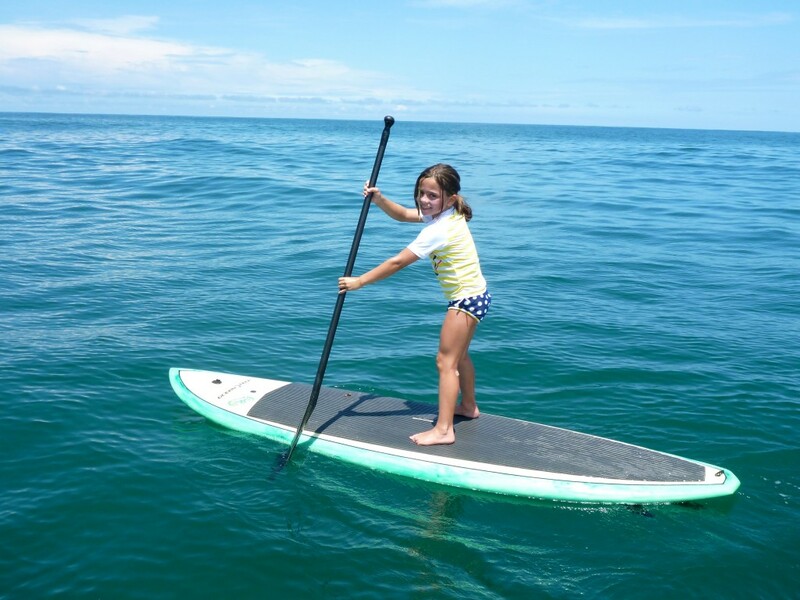 Paddleboarding: the hottest sport of the season for all ages! Co-founder Alison Qualter Berna and her family recently went paddleboarding on a family vacation! Check out the article on New York Family's website and find out where you can learn this increasingly popular summer activity! Paddleboarding has been the hottest water sport all summer. One of our great friends, local mom and co-owner of apple seeds Alison Berna, recently took her family paddling and gave us the scoop on why this is such a great pastime for all ages. Need some proof? Just take a look at these photos, showing off the young Berna kids’ balance skills as well as of Alison’s own yogic prowess. Berna continues to explain the four different types of paddleboarding: 1) racing, 2) wave riding, which is sort of like surfing, 3) regular stand-up paddling, just like standing in a kayak with an oar, and 4) the most increasingly popular paddleboard yoga — though, this may be a little harder for the little ones! One of the aspects Berna says she loves best for her family, which loves to surf, is that paddleboarding is transferable. A laidback way to explore the local waters? Yes, please! Because believe it or not, there are plenty of opportunities–and plenty of time before the kids go back to school–to try out paddleboarding right here in the city. Note: Equipment’s not included, but we tell you where to rent or buy, too.